Hey Gorgeous! Remembered the last post I did on Japanese Snacks and I did mentioned that I’ll be sharing what’s in my Japan Makeup Haul. Well, it wasn’t me who went to Japan but I have requested my daughter to pick up some of these makeup products from Japan. I love to collect makeup and you can see how obsessed I am with makeup: Okay, judge me if you like! I just love trying out new products from everywhere in the world if I can get my hands on. I guess I can only show you pictures of the makeup haul I have and later, I’ll do another post on all the eyeshadow swatches and blushes after trying them. Okay, the first three products according to my daughter, she bought them at Daiso in Tokyo for ¥100 = US$1.00. I believe there are several Daiso stores in North America and if you live in Los Angeles, San Francisco or Settle area, check out their beauty section there. This Colorful Eyeshadow in 3 Brown. All four eyeshadows are with shimmer except the pink that has the most glitter. Love the texture, it’s very smooth and with incredible pigmentation. A full review of this eyeshadow swatches and makeup look will be up in my next post. 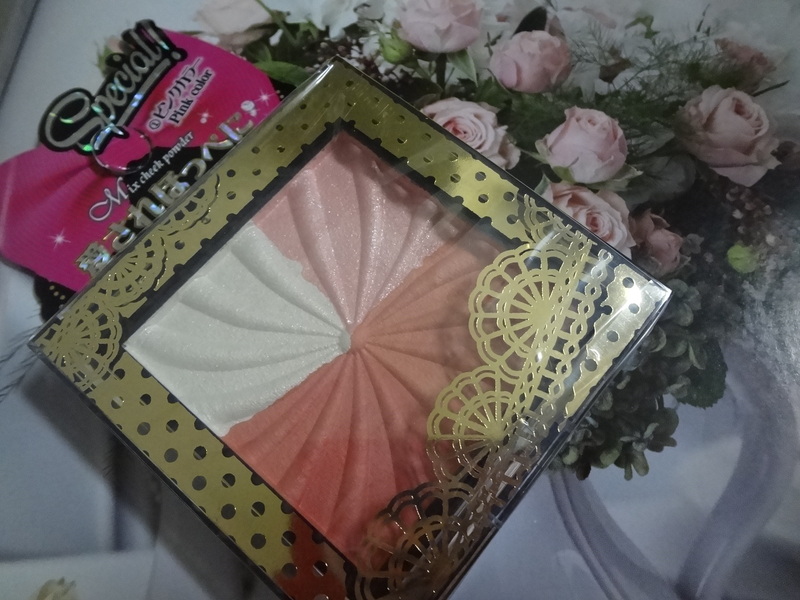 Another interesting product I have here is the Mix Cheek Powder in 1 Pink color. The White and Pink shades have shimmer while the Dark Rose and Coral Peach are with matte finish. For US$1.00 it’s worth every penny. I don’t smell any scent from this blush. The formula is amazing and it’s so blendable. Great value for four large size pan 🙂 Let me know if you like a review on Mix Cheek Powder. 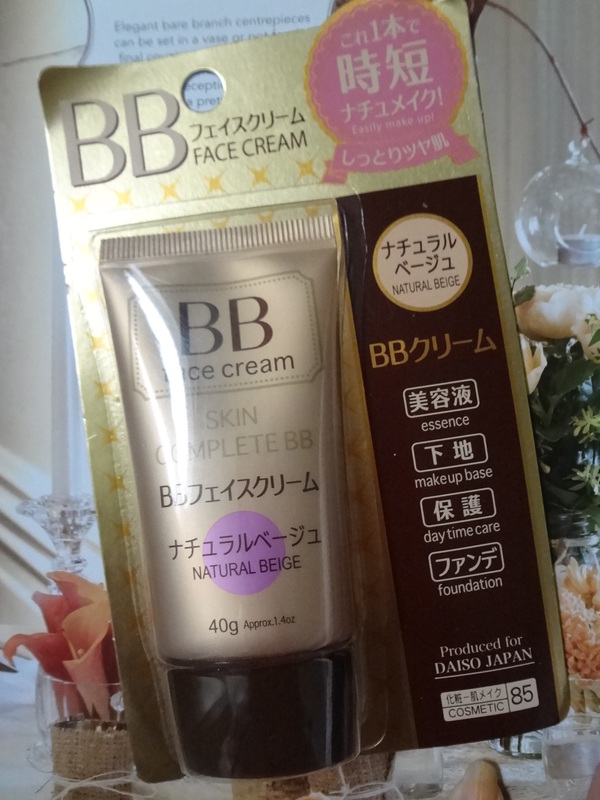 The 3rd product is a BB Face Cream Skin Complete BB in Natural Beige. Net wt: 40g and this is Made in Korea which is not surprising since Korea is popular for their BB Cream products but it’s printed on the packaging that it’s produced for Daiso Japan. Behind the packaging are some of the english translation. Aloe Vera extract is combined, it gives moisture to skin and It helps to keep your skin moist with Shea butter components. It is applied smoothly and moistly. This is a Puff de Cheek by Shiseido Mojolica Majorga in Apricot Macaron. I adore the cute tin packaging and inside is an adorable puffy pom pom which I’m a sucker of … LOL. Net wt: 7g and it costs ¥1300 or $13.00 which is a little pricey for a blush but I really don’t mind. Available in 2 pretty shades. It looks very pigmented and I love this Apricot shade already. I’ll share more pictures of this blush and will also do a color swatch and full review next. Shiseido Be Happy with the power of Mineral foundation with SPF 25+. It’s ¥1300 for 30 ml. It comes in a plastic cute heart shape packaging in beige. this products in Made In Japan so that’s all the information I can digged out. I’ll try this liquid foundation that smells amazing and liquidy. The shade matched my skin type and I’m going to wear it for awhile before I give my thoughts and opinion. 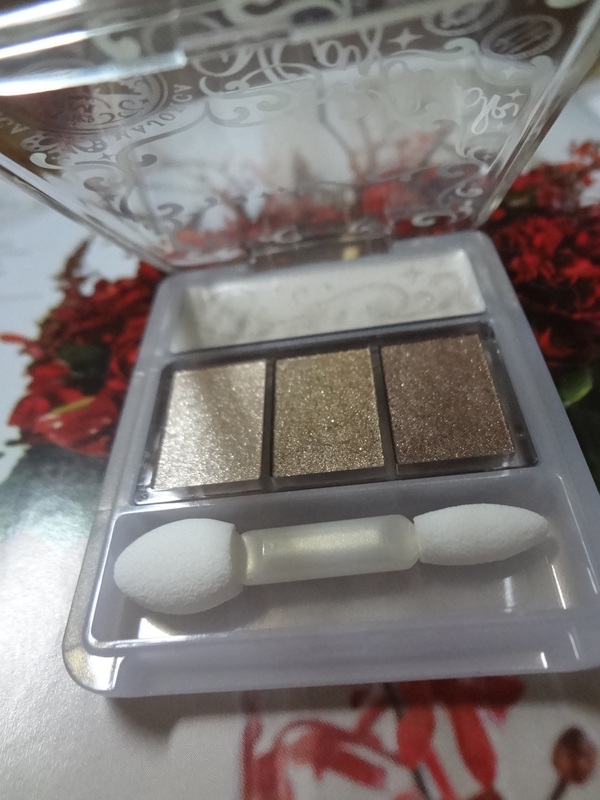 Another product I got is also from Shiseido Majolica Majorca Eyeshadow with 3 shimmery neutral shades with a white matte highlighter. The price is ¥1400 which is US$14.00. 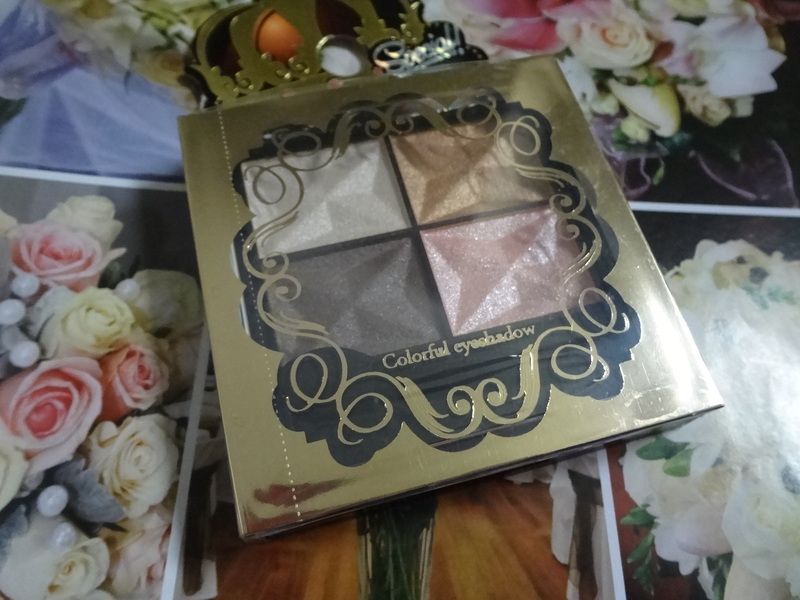 I went to the website and this is what I found – Illumination effect eye shadow of the cream base × light color powder. Dolly Wink by Tsubasa Masuwaka Liquid Eyeliner in Deep Black. ¥1200 for this liquid eyeliner with nice precision tip. 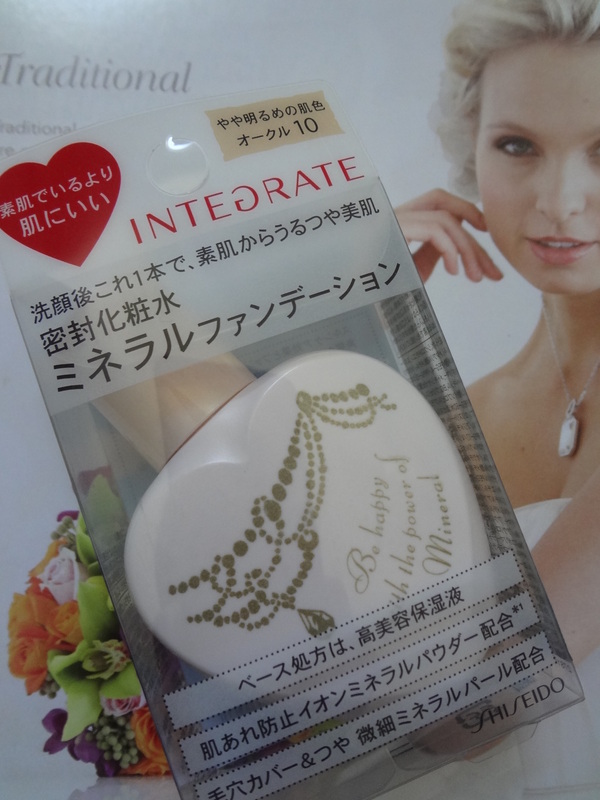 Really impressed with Japanese designers who designed so many creative and artistic packaging on their makeup products. Impressed! 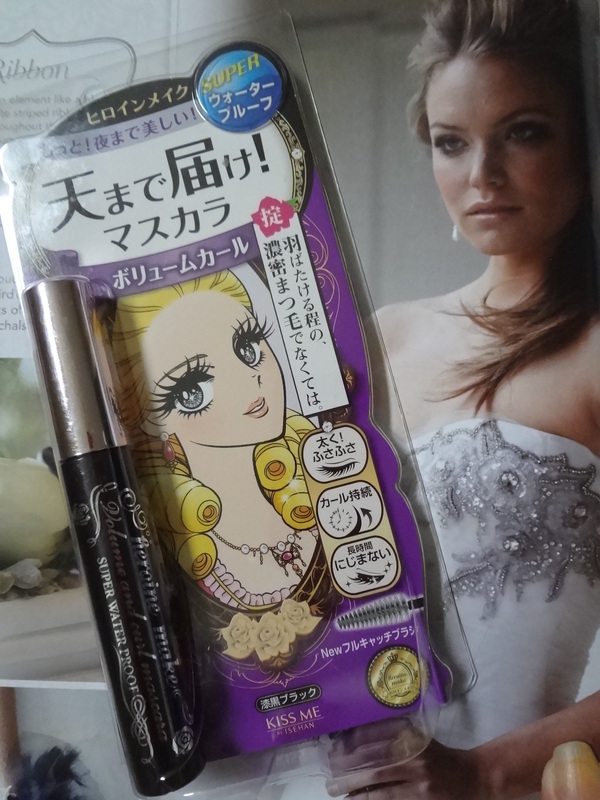 Lastly on makeup is this Heroine Make Volume and Curl Mascara by Kiss Me. This mascara is super water proof and it’s in the shade Black. For ¥1000 I’m going to try if it worth the price. I’ve senstive eyes especially with mascara or eyeliner that could irritate my eyes and I’m going to find out real soon after writing this post. Will report back if it’s a hit or miss for me. 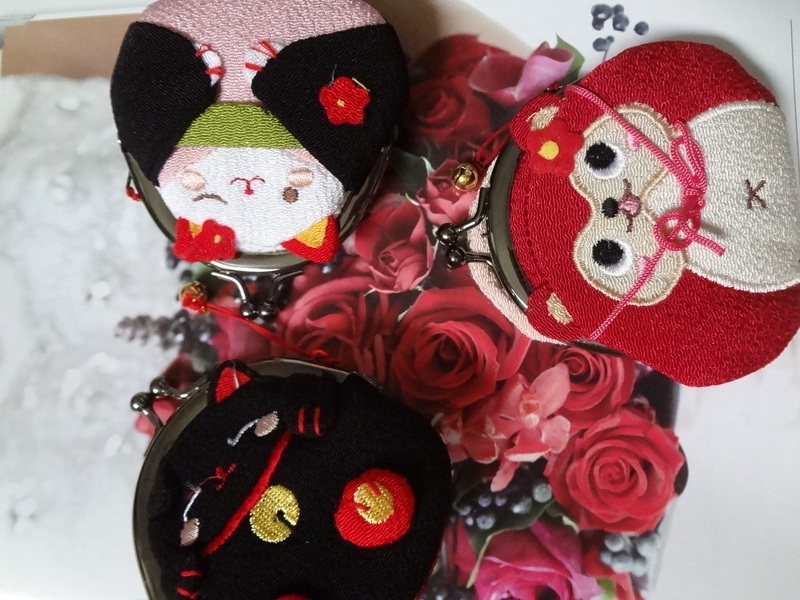 Can anyone say no to these 3 cute little coin purse! I know I can’t and I’m so glad that my daughter knows my taste. I have one of this purse when I was in Japan several years back and I always love it. Now, I have three new ones to keep my older one company. So yay for that! So, I want to give the credit to my daughter and her friend for all these awesome goodies from Japan. I’m very excited to try each one and give my best opinion in my post the next time we meet. I hope you find this makeup haul interesting and helpful and I’ll see you guys soon. Which is your favorite makeup product you’ve seen? I love to hear your comments. Next postQuestion Tuesday| Have You Ever Hit Pan? Daiso has the coolest stuff ever. I miss Japan now. Lol. Great haul. 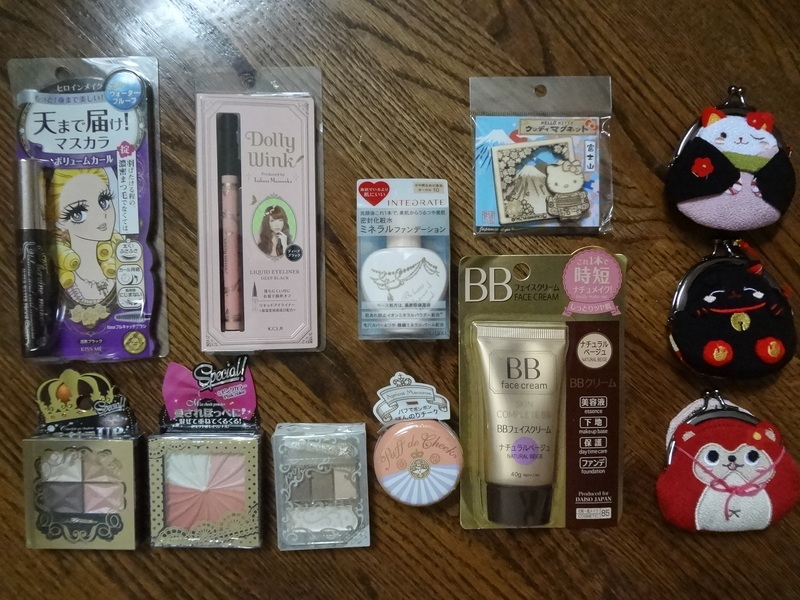 What an amazing Japanese makeup haul! I find it so interesting that Shiseido owns all of these drugstore sub-brands. Looking forward to seeing upcoming reviews and swatches of the products! How cool!! Oh how I’d love to get my hands of some Japonese and Korean makeup!! 😀 😀 I can’t wait to see your reviews 🙂 My brother and sister in law are in China,I wonder if Chinese products are similiar in cuteness/inventiveness/quality?? I could get them to send me stuff, but I only hear about Korean and Japanese brands. Though they probably are also available in China I’m sure. I just bought 3 of those shiseido palettes on a blog sale and I love them!!! They say majolica or something on the front but it’s shiseido and the shadows are Beautiful! Thank you so much for your comment. Yes, I know right! $1 makeup, I love it to the moon and back lol!